Are you starting a HVAC career? Or possibly a at home do-it-yourself type person looking to save money on repairs? Then below are our top ten picks for books on HVAC. One of the things about HVAC is that the technology hasn’t moved as fast as many other fields, especially fields that are computer science related. How many computer technicians get hired to work on ten or fifteen year old computers, not many. 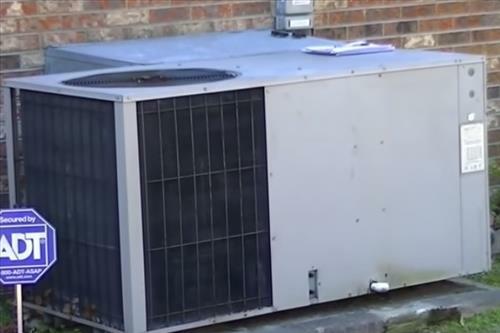 But in the HVAC field many units are ten fifteen years old, some older, and while new technology has come along it is no were near a dramatic a change as many other things. So basically when looking for a book on heating and cooling depending on the subject, the date the book was written often doesn’t matter. Find one that fits your need and price range. Plus be sure to read through the Amazon reviews to see what others are saying about it. If you are having trouble understanding the wiring involved in an HVAC unit then this book is for you. It has been around for years constantly revised and updated. It explains how electricity works in an A/C and heating units very well in simple to understand explanations. There is also many pictures that show how electrical is working in a HVAC system. This book is used by many HVAC schools and some students need it for the classes. This also may be why it is one of the more expensive books on HVAC. If you are looking for the college theory HVAC experience, then reading then this may be for you. Troubleshooting HVAC-R Equipment was published in 1995 and has good information on old units. It walks through both commercial and residential heating and air in a concise and well organized steps. Need to pass the EPA 608 exam to become a technician or are a home owner looking to save money on refrigerant by being able to buy it yourself. Then here is a book on how to pass the EPA 608 exam. It shows all the steps and information needed for passing Type 1,2,3 as well as the universal exam. This is a good book for both the do-it-yourself type person and someone on the career path as a HVAC technician. It goes over theory as well as troubleshooting techniques involved in heating and cooling repair. There is lots of information that helps anyone new to refrigeration understand the principles. The title sums this one up all by itself, if you need to work on low pressure boilers then this books for you. Another good book that explains how HVAC works. It is very educational and practical with well written topics to help a student understand. While an older book this was once used by many trade shools to teach students. Even though it is older and used a lot in the early 2000s all the principles are the same. Since it is older the price has dropped making it a good book to learn from while on a budget. While HVAC system do have new technology many old system are still use daily and need repair. The Refrigeration & Air Conditioning Technology book is a good book with lots of information. It is big so not a quick read but very informative on most all HVAC topics.